Home / Gallbladder Surgery - The dark side Medical Fraud? / Is Laparoscopic Cholecystectomy (LC) the largest health consumer surgery fraud? In 1985 a surgeon in Germany, Erich Muhe, removed a gallbladder using a laparoscope. The first laparoscopic cholecystectomy in France was performed by Philippe Mouret in Lyon in 1987. J. Barry McKernan and William B. Saye performed the first laparoscopic cholecystectomy (LC) in the United States on June 22, 1988 in Marietta, Georgia. Laparoscopic cholecystectomy was developed and popularized in the United States by Dr. Eddie Joe Reddick in 1989. It was a natural outgrowth of laparoscopic surgery being done by gynecologists and arthroscopic surgery done by orthopaedic surgeons many years prior to 1989. As this minimally invasive surgery was being developed and applied to gall bladder surgery many instruments had to be developed and then modified to accommodate the needs specific to biliary tract surgery. In addition surgical methodology had to be modified as better techniques were developed to accomplish a safe, efficient cholecystectomy. Early in the national experience with laparoscopic cholecystectomy it became apparent that some surgeons who were in the early phases of their training would misidentify the anatomy and inadvertently clip and divide the common bile duct thinking it to be the cystic duct. In many instances this would result in complete obstruction of the common bile duct which would require a second operation to correct. Often these injuries were not noted at the time of the initial procedure and therefore a delay in the diagnosis of the problem often resulted. Other problems of much less consequence have also been identified to occur following laparoscopic cholecystecomy. This includes entering the gall bladder and spilling stones and bile into the peritoneal cavity, failure to diagnose stones in the common bile duct, cystic duct clips falling off leading to bile peritonitis, holes being poked in the cystic dust while doing x-rays of the biliary tree (cholangiography), holes poked into the intestine or mesentery by either the needle used to fill the peritoneum with CO2 (Verness needle) or one of the trocars used to introduce the ports. Despite of the formal recognition and endorsement of ethical principles set forth in the Nuremberg Code and Declaration of Helsinki by Doctors, the institutionalized development of laparoscopic cholecystectomy through leaning on ‘test subjects’ breach ethical, moral and legal standards. This infringement breaching all basic human right were deemed acceptable outcomes in a surgeon’s quest for the entrepreneurial exploration of the procedure, so too were the resulting deaths and injuries that followed. The International Human Rights law including the Universal Declaration of Human Rights (1948) proclaims the right for all human beings to live in conditions that enable them to enjoy good health and health care. 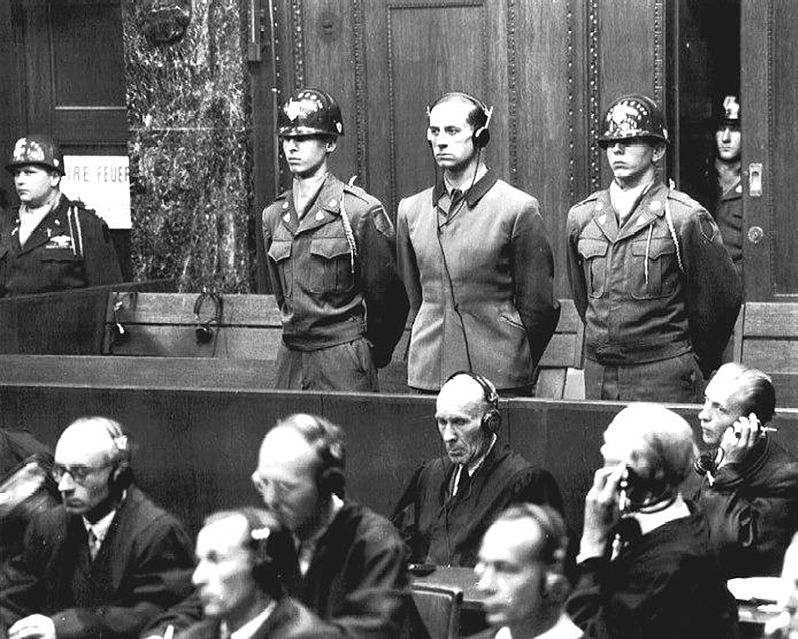 Just like the Nuremberg trials defendants, we assume doctors never aspired to bring evil into medicine but rather they over-identified with an ideological providing healing through the sacrifice of innocent trusting patients’ lives. Lacking empathy they couldn’t fully appreciate the human consequences of their career-motivated decisions. Source : FIFTY YEARS LATER: THE SIGNIFICANCE OF THE NUREMBERG CODE. EVELYNE SHUSTER, PH.D. Autonomy: The right for an individual to make his or her own choice. Beneficence: The principle of acting with the best interest of the other in mind. Non-maleficence: The principle that “above all, do no harm,” as stated in the Hippocratic Oath. Justice: A concept that emphasizes fairness and equality among individuals. Surgeons have long considered gallbladder surgery to be a “bread-and-butter” operation. In the late 1980s it was threatened by two non-surgical procedures to treat gallstones: lithotripsy and ursodiol dissolution. People were choosing the non-surgical solutions. Guarino, Michele Pier Luca et al. “Ursodeoxycholic Acid Therapy in Gallbladder Disease, a Story Not yet Completed.” World Journal of Gastroenterology? : WJG19.31 (2013): 5029–5034. PMC. The laparoscopic method offered surgeons a viable way to regain patient interest in surgery. Laparoscopic equipment companies recognized an enormous financial opportunity. The laparoscopic method offered only a COSMETIC advantage in the smaller scars, not a safety advantage. The one-day hospital stay was attractive to the health insurance companies. Doctors, and other parties, bought stock in the equipment manufacturing companies thus creating personal interest in getting this new procedure established. A whole surgical community had to be trained at once; surgeons were clamouring for it so as not to be left behind their peers. Insurers and government bodies colluded with surgeons to breach human-rights and the laws pertaining to informed consent to allow this new procedure to be trained and established. Communities set up temporary training centers in non-university hospitals to accommodate the large, initial training swarm. This large initial training swarm required patients to train on in order for the surgeons to gain experience and get their credentialing. There were not enough valid gallbladder cases to go around for all to train on. False diagnosis for gallbladder problems took place. A targeted victim group was skimmed off for use in training: people disenfranchised in one way or another and toll damages too small to interest lawyers who accept medical malpractice cases based upon their formula for determining economic damages: the elderly retired, housewives, single over the age of 25 with no dependents, people on public assistance, prisoners, etc. In the initial training frenzy of L.C. the greed-crazed ER doctors making the referrals wanted that “referral fee” so badly they were referring people for gallbladder surgery for things like a fall. One woman I know fell and bruised her ribs, went to the ER and got referred for gallbladder surgery–when she had no symptoms whatsoever. Several hospitals would pull this trick: they’d admit people from the ER for any reason at all then once admitted they’d tell them they “needed” their gallbladder out and told them if they refused to go through with it nobody would sign their release form–and if nobody signed their release form then they would have to leave “against medical advice” and therefore they would have to pay for the overnight stay out of their own pocket instead of their insurance paying for it–so why not just go ahead with the surgery instead so they wouldn’t get stuck for the huge bill run up on them? The victim of medical fraud later discovered the hospital was one of the two temporary “special” training centers set up to train the local initial training swarm of surgeons and were grabbing up every warm body they could con onto the operating table to meet their training needs. The weirdest story came from the sister of this patient, : she had her gallbladder removed 20 years prior by the old, open method. She went to an ER for something else and the ER doctor was so eager to gather referrals (and the fee) that he referred her for gallbladder surgery! If he had even done a basic check he would have seen her big scar. The medical syndicate sold the surgery to the public through media outlets. Printed literature extolling the virtues and minimizing and/or omitting the risks, were given to prospective patients. Lives were bought and sold with the full knowledge most of these people would be permanently injured or killed outright in the student training mills. This is also called “intent to commit likely Grievous bodily harm”, serious physical injury inflicted on a person by the deliberate action of another and is a very sophisticated form of serial killing. Lives were bought and sold with the full knowledge that no ethical/proper response would be offered if the injury manifested/collapsed after discharge from the hospital–as most did due to the one-day stay. Sudden, enormous, increase in the number of cholecystectomies with the introduction of the laparoscopic method. Documented in DRG files and trade literature. Increase falsely spun off to “backlog” and “patient demand” when it was actually “trainee demand”. Increase in number of cholecystectomies brought increase in deaths and permanent and progressive injuries. Injury rate manipulated artificially low by actively responding to just one class of injury victim: the cases that collapse before discharge from the hospital and cannot be masqueraded to other causes. Green trainees make their worst mistakes in the first 25-50 of each laparoscopic gallbladder procedure they perform. The government pays teaching hospitals $100,000.+ for each resident they train and have a contractual obligation to provide/procure “teaching material” for their students to practice on. The health insurance companies wanted the cost-saving potential of the new laparoscopic gallbladder surgery. The health insurance companies often owned the teaching hospitals where the new surgery was being trained and the injuries were being created. And concealed. The teaching hospitals control the medical record. The health insurers did not want the enormous cost of providing proper aftercare and necessary intervention to all the injury cases created by their green trainees. Bile duct injury is one of the worst injuries that can happen in abdominal surgery and is virtually irreparable even in the best of hands. There is a one-month window of opportunity for a proper-but-expensive biliary repair, by a specialist, before permanent and progressive liver damage sets in. Once permanent and progressive liver damage is allowed to set in the process cannot be reversed and leads inexorably to liver failure and death. An infectious process sets in that damages kidneys, heart, spleen–continually seeded all over the body from the damaged liver by way of the blood stream. Thousands of deaths and tens of thousands of injuries were created in this initial training frenzy. If the health insurers responded ethically to each case created they’d all bankrupt quickly. If the malpractice insurers responded ethically to each case they’d all bankrupt quicker. True death and injury rate manipulated artificially low. To their mutual benefit, the vested entities colluded/conspired to present a unified front and would control presentation and care offerings this way: Only the cases that collapsed before discharge from the hospital would actually receive that ethical, prompt response promised to all in the printed pre-op propaganda–only because those cannot be concealed. These would be the only cases counted. The rest would get a sociopathically inhumane “cover-up-and-disposal” program that would make war crimes (Nuremberg war trials) look like a tea party. Those injured would be methodically funnelled to specific specialist referrals in the local community and to specific laboratories: those who can be trusted best to stick to the “cover-up and dispose-of” protocols. The natural features of injury at gallbladder surgery, particularly bile duct injury, would be exploited (a new secondary income streams for doctors and hospitals). Nothing shows on the surface where others can see it until the disease is well advanced. Nobody else can “see” pain, systemic infection, damage to other major organ systems and such as is common with this progressive injury(s). Bile duct injury is one of the biggest “dirty secrets” of modern medicine: it is 100% doctor-caused unless a person was shot or stabbed in just the right places. Symptomatic relief only/no active intervention–until you get well on your own, or die–and you will get that only if you shut up, stop fighting us, and accept a benign diagnosis that the treatment matches.” The doctors would not offer any response to our increasing symptoms but a useless symptomatic relief. A false diagnosis of “mental disturbance” would be made and referral given to selected psychiatrists and psychologists. The persistent patients would be routinely prescribed “psych drugs” to calm them into acceptance of their increasing symptoms, deliberately left untreated, and the myriad abuses heaped upon them. Designed to discredit them to others. To discourage injury victims from seeking care for their increasing symptoms the medical syndicate has demonstrated a standardized pattern of vicious verbal abuse, false accusations, and psychological battery at every encounter to make seeking intervention so unpleasant those injured gain an aversion to it and learn to avoid it. This is applied early and heavily to make the most lasting impact. Injured become extremely valuable commodities to the medical syndicate as “teaching material” to be exploited and used up in further student surgery training, drug and device testing–which we are expected to pay for. If that did not accept the “offers” made to us we are coerced into compliance by removing pain control and made to “earn” it back by compliance. We are funnelled to “special” doctors in the community who can be trusted best to keep to the “use-up-then-dispose-of” program. A correct diagnosis(s) is withheld. The standard of care is criminally reversed. Proper aftercare is withheld. We spiral downward, deliberately untreated. X-ray tampering to hide injury. Lab reports falsified. Mass medical bills skyrocket, personal assets were pirated / plundered by running us through a never-ending battery of expensive, painful, dangerous, unnecessary testing done solely to stonewall and deceive. If we don’t pay the enormous medical debt run up on us liens are clapped on our homes, retirement funds, and such. Aggressive collection agencies are set upon us; our credit is ruined. If we speak out against what is done to us we are punished. If we persist after being ordered to stop we are sent to prison on trumped-up charges (drug charges usually), confined to a mental institution for an attitude adjustment, or the psychological abuses are so heavily applied that few can withstand it and fall into helpless/hopeless despair or commit suicide. Why all this, even long after the regular Statute Of Limitations and Statute Of Repose has expired? Why continue? If no treatment for the true condition is ever initiated or recorded then it can never become continuous or conclude. This is what is driving these standardized abuses. You can now understand how the medical industry colludes to protect its members from laparoscopic gallbladder surgery injury victims? These attitudes towards post care treatment and patient rights are still current today. Article 5, 8 and 25 – Everyone has the right to a standard of living adequate for the health and well-being of himself and of his family, including food, clothing, housing and medical care and necessary social services, and the right to security in the event of unemployment, sickness, disability, or other lack of livelihood in circumstances beyond his control. Compromised ability to work and earn a living. When people cannot work they consequently cannot build Social Security credits in order to later qualify for receiving benefits. Without a correct diagnosis on paper victims cannot collect on their purchased disability insurance policies or access the Social Security disability benefits they are entitled to. Without a correct diagnosis victims cannot adequately/accurately determine which drugs and treatments are harmful to their particular situation and avoid them. Damage to marriage, children, family, and other relationships. Victims become a burden to others: financially, socially, and physically. Victims cannot perform usual chores and have to hire help or ask others to take over. L.C. injury victims are immediately blocked/closed blacklisted out from accessing medical care: doctors automatically reject accepting them as patients, say they “do not want to get involved”. If this surgery is the cure-all it is touted to be WHY, then, are so many people sick and dying afterward? Why an elaborate cover-up if none is necessary? Why is the long term health risks known as Post cholecystectomy syndrome also never disclosed to the patient during the informed consent process. Finally are doctors above the law? PrimeTime Live (transcript) Airdate: 12-16-1993 Too Good To Be True? “Rumor has it that many common bile duct injuries occurring as a result of laparoscopic cholecystectomy have not been described in the literature. Indeed, in the last year, surgeons at our institution have been asked to manage more than 15 injuries to the common bile duct resulting from laparoscopic cholecystectomy. (4) the absence of the safeguards inherent in traditional surgical education in the numerous abbreviated training courses by which practitioners were introduced to laparoscopic methods. “Some experts now wonder whether the glamour of the high-tech procedure and the promise of a rapid postoperative recovery are resulting in a lot of needless surgery. Patients, though, forget that every operation has risks, and that the expected benefits from the surgery should justify taking those risks. Such justification may be lacking in most patients with gallstones that cause few or no symptoms. As health care budgets shrink, it is likely that stricter criteria will be established for a cholecystectomy. May 1993. “Management Of Major Biliary Complications After Laparoscopic Cholecystectomy” By:G. Branum MD, C. Schmidt MD, J. Baillie Md, P. Suhocki MD, M. Baker MD, A. Davidoff. MD, S. Branch MD, R. Chari MD, G. Cucchiaro MD, E. Murray RN, T. Pappas MD, P. Cotton MD , W.C. Meyers MD. CONCLUSIONS: More often than not, patients are not provided with consistent information to make an informed choice. We suggest that a preprinted consent form will provide a more uniform approach to consenting practice for laparoscopic cholecystectomy. Accidental damage to a bile duct during cholecystectomy is one of the most serious and difficult problems in abdominal surgery. Unless successful reconstruction is achieved progressive liver damage and fibrosis will occur and lead inexorably to liver failure and death. Bias toward the reporting of more favourable results is well recognized. This is suggested by the fact that many major medical centers that are reporting relatively low rates of bile duct injury from laparoscopic cholecystectomy are simultaneously seeing an increased number of patients referred from outside hospitals for the treatment of such injuries. Thus, the reported data most likely underestimate the complication rates for laparoscopic cholecystectomy more than for open cholecystectomy. A doctor needs to perform a procedure a minimum number of times to gain competence. To learn the technique, most doctor take intensive one-or-two-day courses usually given in hotels. They hear lectures, watch demonstrations, practice on models, and finally try out the technique on digs or pigs. Approximately ten thousand surgeons have taken these courses since the late eighties. According to the New York Times, some doctors did their first cases on a human a few days after practicing on a pig. It’s perhaps not surprising then that early on there were reports about high rates of complications. “Bile duct injuries that are recognized and repaired immediately have the best prognosis. My sister had her bile duct severed Oct 17 2006 .Thanks to the “They sent me home to die” letter you wrote, I was able to get my sister sent to a biliary specialist six hours away. It took almost a week to get her transferred to the other hospital . She was having same day surgery to have her gallbladder removed and it went wrong, the Dr. told us it was his first time making the mistake and even though he did not know what he was doing he tried to repair it. She spent almost a month at Vanderbilt Medical Center , it was the -151- worst thing I have ever seen, her intestines blocked, she had 2 tubes draining bile off her stomach and 1 down her nose pumping it out of her stomach, and she was still vomiting bile. The team of specialist she had were great, they got her well enough to come home. They said that she was to sick to try to do a repair surgery–they didn’t think she would live through it. And at the time every thing was flowing correctly on the CT scan. Since she has been home she has been back to the hospital 4 times, twice they kept her there. She is at the DR. every week for labs. Her symptoms now are vomiting, dark green watery bowel movements that she has no control over, fever, stomach pains and bloating . Her new Gastro Dr. told her last week that he could not find anything wrong with her and he would no longer be able to treat her as a patient. I just read through your story with tears rolling down my face, I am a victim too, I have 10 months left to try to find an attorney that might be able to help me pay for some of the medical expenses I have incurred before my statue of limitations expires. And the expenses I will have the rest of my life. I am 28 years old and a mother of 3, Doctor’s insisted I needed my gall bladder out, I didn’t know any better, was never told about any complications. In fact I was told that I would have more chances of being struck by lightning driving myself to the hospital to have the procedure than anything going wrong. Four days after the procedure and calling and trying to get somebody to see me and telling them something was wrong and just given more pain med’s, I went into shock in the middle of the night, I am assuming from pain and my husband had to call the EMT. I sat there ( hospital) for 2 days in horrible pain which until now you are the first person that knows that pain, letting bile leak out and burn everything it touched. I could go on -158- and tell you the 2 and a half years of hospital stays and “procedures” and being told that no surgeon will operate on me, and even some doctors telling me nothing “SHOULD” be wrong! Everyday of my life I suffer, my children suffer and my husband suffer, and I keep getting told that what happen to me was within the “standard of care”, but the truth being nobody wants to testify against the surgeon. My medications cost over $1000.00 every month, I am on enough pain med’s to kill a person a day just to be able to function. I have never been able to take my 2 year old son, who is almost three to the park by myself. Our whole life has been changed before it even got a chance to begin. I need help, I don’t know where to go or who to ask about what this “standard of care” even is, a stint saved my life, but if it wasn’t for my children and the love I feel for my husband I wouldn’t have wanted it to. I would really love to talk with you and maybe you might have some information that could help me or vise versa . My prayers are with you and yours, and like the pain that I feel I wish to you moments of peace and moments of being pain free. I had my gallbladder removed in 1998. I had a laparoscopic cholecystectomy done. He cut my bile duct in two. I have suffered a lot. I am still paying for that man’s mistake. I had three surgeries done in two and a half years. I have had a lot of tests and procedures. I have seen a lot of doctors. It’s getting old fast. It all started in 1998 when I had my gallbladder removed. I was not told of any risk involved. I thought everything would be fine. Wrong!! He had my gallbladder out and told me everything went well. The day after I started leaking bile thru my incisions. The nurses and the doctor told me that leaking bile thru my incisions was normal and that it was a good thing that I was. Finally after leaking bile for three days they came in and got me so they could do two tests on me. They were a HIDA scan and an ERCP. I was already put out from the ERCP so I didn’t know what was going on. I don’t even remember talking to my husband or my kids. My husband was at home at the time they were doing the tests but was called to the hospital to sign some papers. He had to sign for me to have an emergency surgery. My husband asked the doctor what was going on and all he told my husband “it’s broke and he’s going to fix it”. Which the surgery took six hours. I didn’t even know I was going to have another surgery. This surgery was three days after my gallbladder surgery. It took me a while to even realize I had a second surgery because I was so drugged up. I was in the hospital another four days after my second surgery then I was finally released. The doctor wouldn’t release me from the hospital until I had someone watch my two young kids. (I was in the hospital for eight days) Five days after being released I went back into the emergency room because I had a T-tube that was supposed to stay in me for nine months but the tube slipped in and was hurting. The surgeon who did the two surgeries was the doctor that they called in. We told them that we didn’t want that doctor to see me and they said “he’s the one who did my surgeries”. Finally what I thought was the end of my pain and suffering. It didn’t stop there. I went a year and a half after that not feeling good, feeling sick to my stomach, loss of appetite, my stomach would swell up. I even lost a little weight. Last July is when it all started up. I was having really bad stomach pains so bad I went to the emergency room. The pains were so bad I thought it was worse than my gallbladder attack. They gave me something to drink and sent me home. It didn’t help. All it did was make me throw up all night. The next day my mother called -94- the doctor’s nurse. She told my mom to get me back to the emergency room now and if they didn’t help me to call her back. They put me in the hospital. The gastroenterologist and the surgeon who saw me last year when I was really sick said “this is life-threatening”. I was so sick I had lost fifty pounds. I was in the hospital a few days then they transferred me to XXXX I stayed there a few days and they did some tests and they finally found my bile duct was closed off…there was an operative staple that the surgeon put in the wrong place. I didn’t even know he had done that. He shut my liver completely off. So the doctors in XXXX went in and ballooned it open and put a stent in to keep it open hoping it would work. They said I would know in two weeks if it worked or not. Two weeks came and I was sick again: fever, chills, nausea, jaundice, stomach would swell up real big. The doctor put me on an antibiotic and I would still run fevers. He said he wanted to see me in his office. He told me I needed a third operation that I didn’t want. My third surgery was done in 1999. I really thought the third surgery was going to work because I felt good and didn’t hurt. Five months passed and I started getting sick again just like before. I had a lot of doctors but none of them could figure out what was going on. My liver functions would come back good. The doctors said they couldn’t understand why I was running fevers when they couldn’t find any infection inside my body. All my tests kept coming back normal and then my first surgeon started telling me I am crazy and it was all in my head! The gastroenterologist said he doesn’t want to do anymore tests because he doesn’t want me to get an infection and make me sicker than I am so he is recommending a liver specialist in XXXX. Before it is all said and done I will probably be having a fourth surgery to get whatever is wrong fixed. This has been a nightmare. Don’t even have the words to describe all that I have been through. It has been very stressful, emotional, and frustrating. I know you probably know what it feels like. I really don’t know all of the damage that was done to me. It was really nice to come across somebody that has had the same thing happen to me because you are the first person I heard of that went through the same thing that I went through. I was twenty-two when all of this started. I will be twenty-five this month. I have been going through pain and suffering three years. I hope it will stop soon. I am married and have two children. It is really hard to take care of the kids when you are as sick as I have been. It has been hard on them too. I feel lousy all of the time. It is an everyday thing. My stomach is swollen and hurts. My right side where my liver is -95- has been hurting too. It has been the worst thing that has ever happened to me in my whole life. I am not only scarred on the outside but I am scarred on the inside too. It has affected me really bad. I will never be able to forget it. The pain and suffering that I went through will always be there no matter what. I agree with you I don’t see how the doctors who mess people up like this can sleep at night knowing what their mistakes have costed a person. They knew when they made their mistakes that the person is going to suffer a lot. I also agree with you almost everything I have came across about laparoscopic cholecystectomy don’t say anything about risks not less anything about a bile duct injury. I think people ought to be completely aware of the risk involved. It is their life they ought to know about the risk involved. They are the ones whose got to suffer the consequences. I had to write to you to let you know you aren’t the only one who has been injured. I am so glad to have seen your letters on the internet. God bless you! “I was admitted to the ER in November for what I thought might be my appendix but turned out to be gall stones. A doctor came and told me I would have to have my gallbladder removed. I woke up 10 days later in the ICU. I was told there were complications in my surgery, a second doctor performed a laparoscopy I guess and managed to puncture both my intestine and my bile duct where the bile was allowed to leak into my abdominal cavity. The first doctor had to cut me -96- all the way open and clean me out twice. I was in the hospital for over three weeks and have a $100,000. dollar hospital bill.